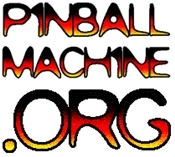 Pacific Pinball Exposition Tournament Results! This year, Jeannie Rodriguez ran the PPE tournaments with lots of help from Eric Kos. The format was slightly non-traditional but I only heard positive things about it. What was the big difference? Well, in most “major” US tournaments, the qualifying round allows players to purchase as many entries as they want and/or can afford. At the PPE tournament, $10 got you the first round of entries, but after that you could buy just two rounds of entries at $15 each. This means the most you could spend was $40 and you got a maximum three tries on each game. If you don’t play in tournaments, you might be scratching your head wondering why unlimited entries (or even multiple entries) are allowed in some formats. The two main reasons are 1) to build up the prize pot (Pinball isn’t exactly sponsored by Budweiser) , and 2) to give players (particularly those who traveled) as much “tournament play time” as possible. There are a lot of players who don’t like the unlimited qualifying format though. I’ve heard it called “pay-to-win”, and for anyone but the top players it requires a huge time investment – you can easily miss most of a pinball show just grinding out entries in the hope of qualifying. No matter what you think of either format, one thing was definite: several players entered that otherwise would not have. I don’t doubt that a few top players may have declined to participate because of the capped entries, but overall, many more jumped in than jumped out.